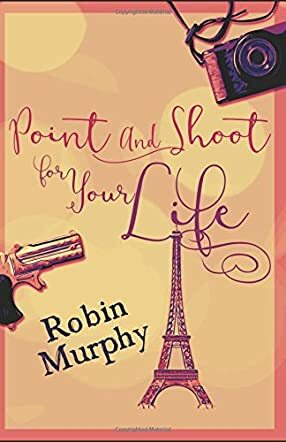 Robin Murphy didn’t have the desire to be a writer at a young age, but in 2006 she sat down at a computer and out of nowhere, a romance story was born. It was here where she discovered her passion, and never looked back. Robin is an Amazon bestselling author and a paranormal mystery and travel writer. She is a speaker on author platforms, self-publishing, and marketing, and recently became the sole-proprietor of Independent Virtual Admin (IVA). She is also the sole-proprietor of Rookie Writers Solutions, which helps new writers learn tricks of the trade in the writing industry, as well as allowing authors to advertise and share their published works. Robin has over thirty years of experience in the administrative, graphic design, desktop publishing, writing, and self-publishing fields. Her wide range of skills and abilities place her at the top of her field. She has been featured for her paranormal mystery series in the Herald Mail newspaper in Hagerstown, MD and the Hagerstown magazine, as well as a television interview on Illusions TV. She was also named one of the 50 Great Writers You Should be Reading in 2011. Robin has also been a featured guest on The Author’s Radio Show, Wise Bear Books podcast, Ella Sandwell’s radio show, The Bookcast radio show, Hangin’ with Higgins radio show, Paranormal Rehab radio show, and Paranormal & Ponderings radio show. She has also had countless online interviews, among them are: JM Northrup’s Blog, Thoughtful Reflections, PaperBack Swap, and Have Novel Will Edit. She has received the 5 star award from Reader’s Favorite for all of her books. The heartbeat of the paranormal mystery series came from Robin’s interests in the paranormal, murder mysteries and ghost investigations. The first book in the series, Sullivan’s Secret, is an Amazon best seller, with the other three, Secret of the Big Easy, Federal City’s Secret, and Secret of Coffin Island not far behind in that status. Her nonfiction book, The Complete How-To Guide for Rookie Writers, is a very practical, hands-on and user-friendly book to enable a rookie writer to learn how to get their newly created work produced and available to readers. She attended Penn Highlands Community College and is a graduate of Long Ridge Writers Group. She was inducted as a member of Phi Theta Kappa Society, an International Scholastic Order of the Two-Year College in 1997, was nominated to The National Dean’s List in 1998, and received the honor of “New Executives 2000” by the Greater Johnstown/Cambria County Chamber of Commerce. She is a member of Sister’s in Crime. Robin has four children – two daughters, Jennifer and Sue, and two sons, Michael and Nathan – five granddaughters – Tessa, Anna, Abigail, twins Mady and Elly – and grandson, Brendan. She and her husband, Bob were married in Sharpsburg, MD in 1998 by local historian, Rev. John Schildt. After falling in love with the town, they decided to move to Sharpsburg three years later.